Rice is a versatile and universal ingredient that has stood the test of time and found in almost every culture and cuisine. With the abundance of spring vegetables around such as asparagus and peas, I thought the perfect backdrop in showcasing some of this spring fare would be to make a delicious risotto. 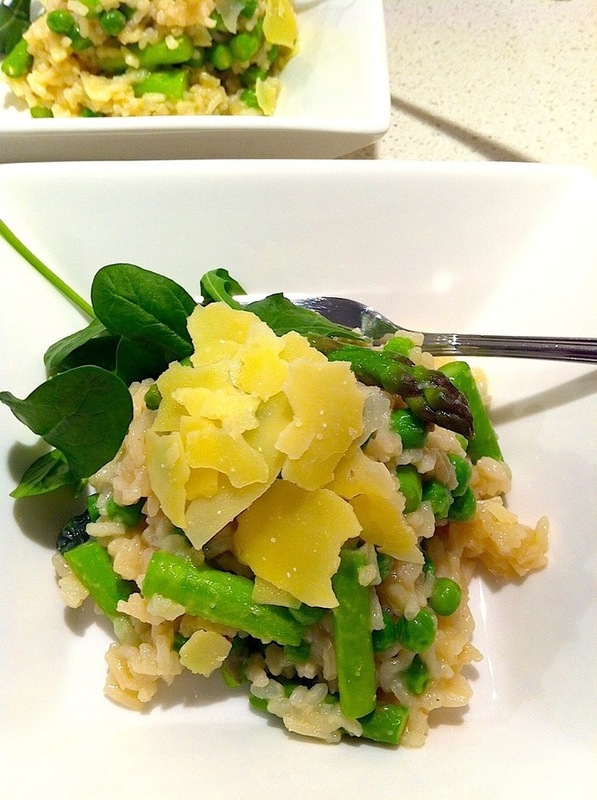 Perfect Spring Risotto, combining the abundance of spring vegetables with a classic Risotto . 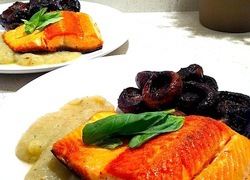 A simple dish that often causes angst amongst cooks, by following the simple techniques and tips below, should have you dining on perfectly creamy spring risotto in no time at all. 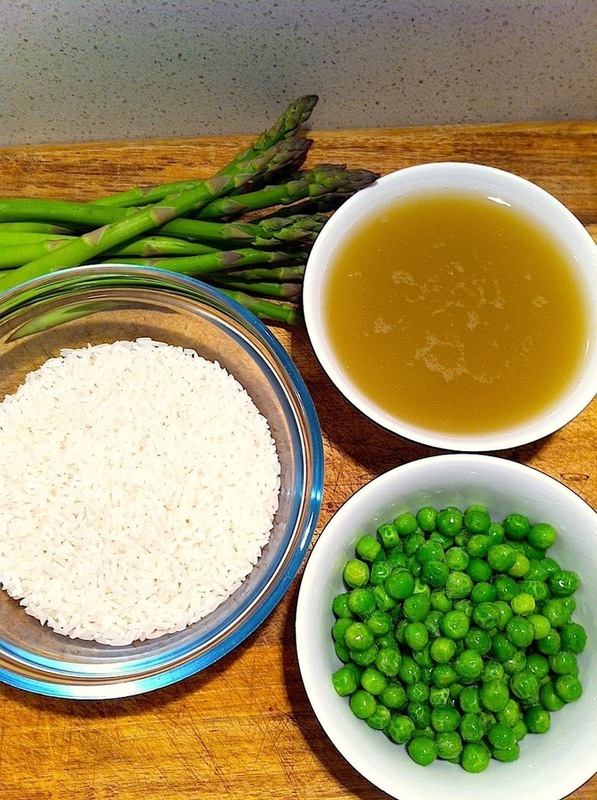 Key Ingredients include Fennel Stock, Short Grain Rice, Asparagus and Peas. Heat olive oil in a large saucepan and add rice. Stir to coat the rice and cook until the rice turns opaque (approximately 3-4 minutes). 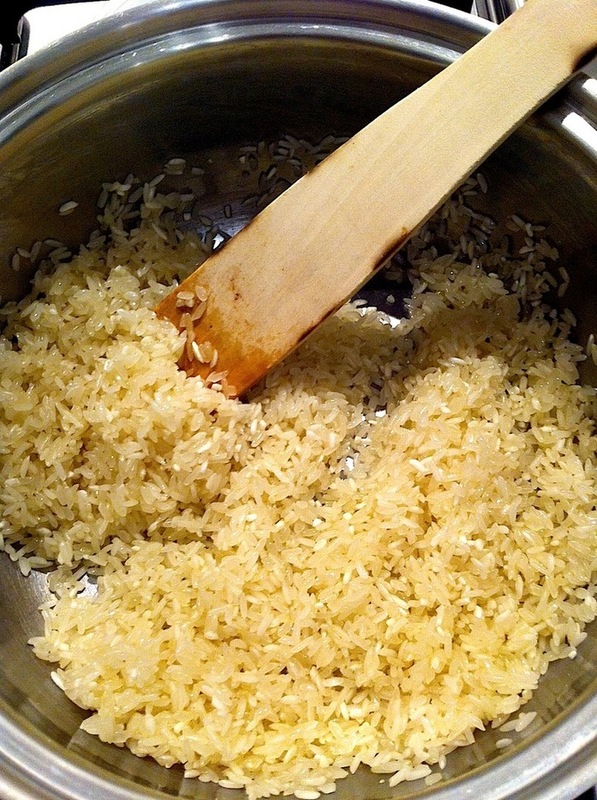 Cook the rice until opaque - the rice should be thoroughly coated with oil. Add the fennel stock, mushroom stock cube and 1 cup of water. 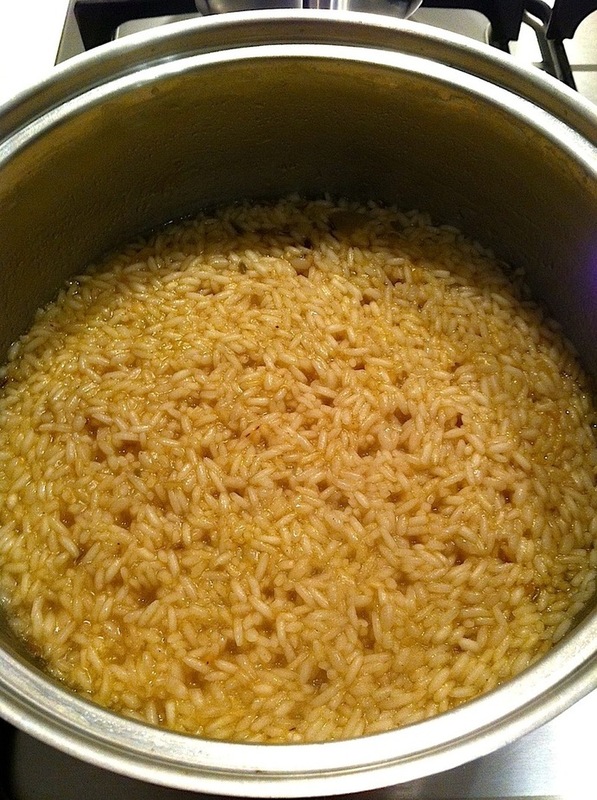 Bring rice to the boil, reduce to a simmer and cook rice until the liquid has almost absorbed. Continue stirring when required (this helps to break down the starchy enzymes to give the risotto that characteristically creamy texture). Add the stock in stages - one cup at a time. When almost all the stock has been reduced add a second cup of water. Continue cooking and stirring the risotto. Cut the asparagus into thirds. Add the last cup of water and continue cooking and stirring the risotto. This cooking and stock reduction process should take approximately 20-minutes. 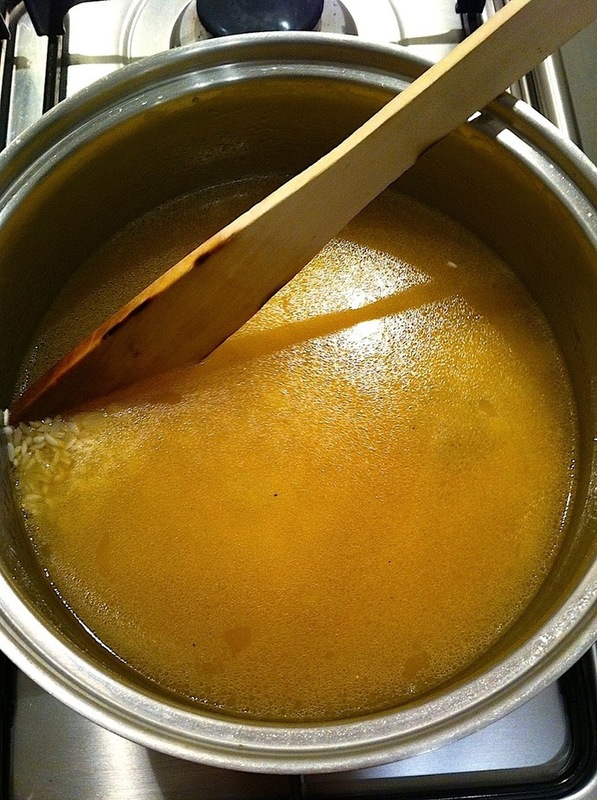 The cooking and stock reduction process should take approximately 20-minutes. When stock has almost reduced, add the asparagus, peas and fennel seeds. Stir constantly for 3-4 minutes. If needed, add a little more liquid. Add uncooked asparagus and peas - the vegetables should cook and remain crunchy and not become mushy or soggy. The risotto is ready when it has a thick porridge like consistency with the rice cooked to 'al dente'. Most importantly the risotto should be moist. 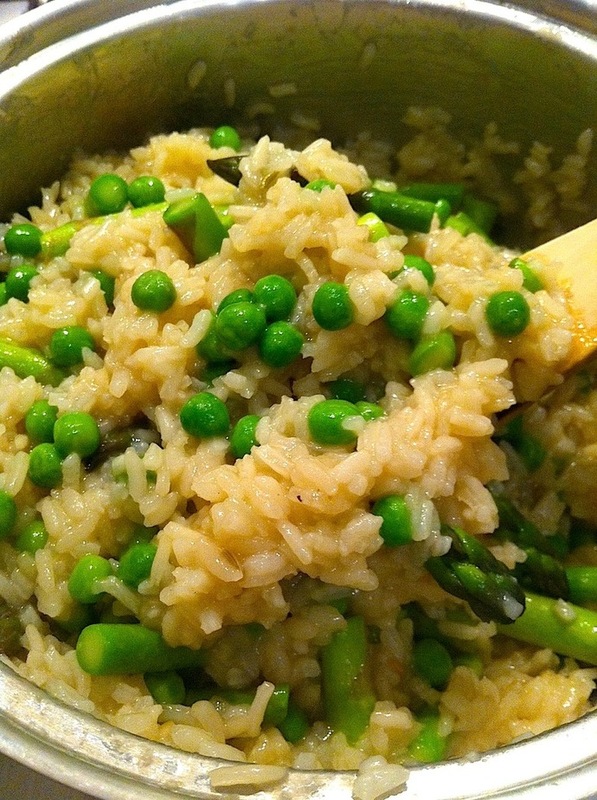 If you run your wooden spoon through the risotto, the risotto will flow slowly to fill in the space. The asparagus and peas should still have a slightly crunchy texture. Serve immediately into bowls and garnish with shaved parmesan cheese. 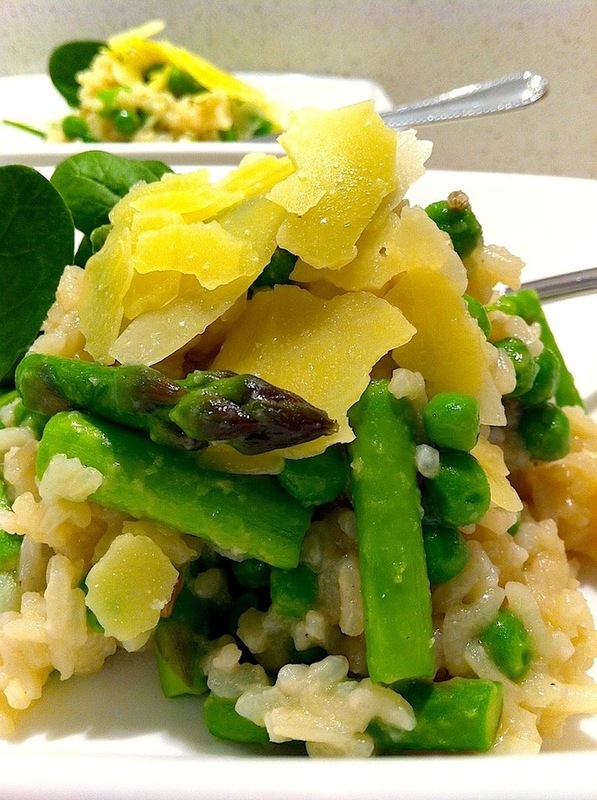 Serve the Spring Risotto immediately with a little shaved parmesan to garnish. Best eaten when accompanied with chilled white wine. Perfect risotto stems from toasting the rice grains prior to adding stock. It’s a simple process of coating the grains with a light vegetable oil for a few minutes until the rice is opaque in colour. This enables the rice grains to absorb liquid slowly without becoming soggy during the cooking process. Be careful not to overcook the rice as it will lock in the starch, which is essential for the creamy texture of the risotto. Add liquid in stages (a cup at a time) only adding more when the previous stock has been reduced. Be careful not to completely reduce the liquid as this will cause the risotto to become glue-like when you add more stock. Carnaroli Rice is best suited when cooking risotto because of its high starch content. However, any short-grain white rice will do as these rices have the ability to absorb liquids and to release starch. 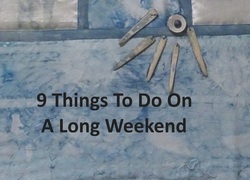 My grandmother taught me that contrary to popular belief, a good risotto doesn’t require lots of fats; cream or cheese incorporated into the cooking process, as this makes the risotto heavy, thick and soggy and takes away from the flavour and textures of the other ingredients you add into the risotto. She also insisted risotto doesn’t require continuous stirring, as this too overcooks the risotto and gives it a clumpy or soggy texture. Wives tale or not, I’ve kept to my grandmothers advice and I’ve always been able to create the perfect risotto – not too dry and not too runny. My secret ingredients for this Spring Risotto is the use of home made fennel stock and fennel seeds ! 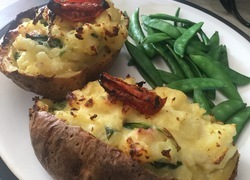 I would normally add a cup of white wine prior to adding the stock to enhance the flavour however, this time around I opted for a healthy version!